Málaga is the lively capital of the Costa del Sol, famed for its beaches and mild climate, and gateway to Andalusia, with its Moorish architectural heritage. The city’s Alcazaba is a fine example, an 11th century citadel sitting in majestic splendor overlooking the African coast. It contains three magnificent palaces and graceful gardens with ornate fountains. In addition to their rich cultural heritage, Malagueños are also very proud of their most famous citizens—Picasso, for whom there is a museum commemorating his birth here, and actor Antonio Banderas, so far without a monument. Step into the oldest part of Alhambra, a Moorish fortress high above the city. Look at over 155 paintings by the master Pablo Picasso, donated by his family. This small village sits 3,000 feet above sea level, affording stunning views of the Spanish countryside. Charming whitewashed houses covered with jasmine and bougainvillaea, small cafes and shops line streets and narrow alleyways, only accessible to pedestrians and donkeys. Experience the spiritually enriching and physical relaxing sensation of a traditional Arab Water Journey at the baths of Hamman Al Andalus. 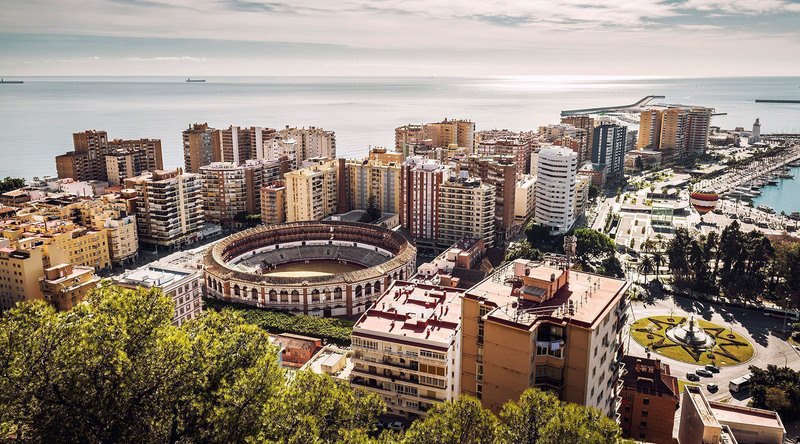 Enjoy a lovely stroll through the streets of Malaga alongside a local guide who'll provide fascinating insight and lead you to a favorite tapas bar.